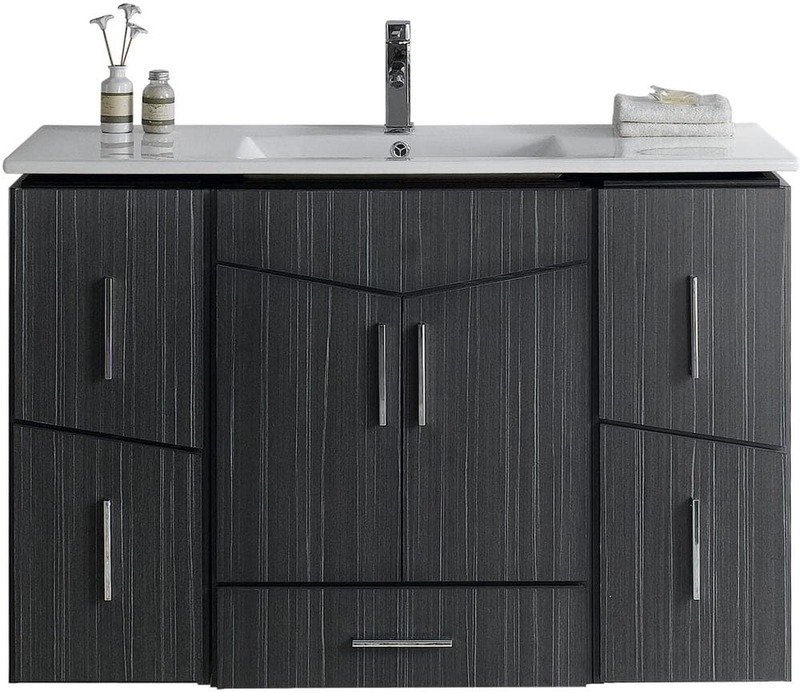 This modern vanity base set belongs to the exquisite Zen design series. It features a rectangle shape. This vanity base set is designed to be installed as a wall mount vanity base set. It is constructed with plywood-melamine. This vanity base set comes with a melamine finish in Dawn Grey color.